HosterPK is one of top 3 web hosting companies in Pakistan. We provide latest technologies in ASP.Net, PHP starting from just 1700/Year with generous disk space and bandwidth, along with free domain registration. All these features and our speedy customer service make HosterPK the best company of its kind in Pakistan. HosterPK is a Pakistan based web hosting company, providing both providing reliable hosting services since 2009. Although we are a Rawalpindi based company, but as with any online business we provide services to all Pakistan cities with more than 3000 customers from all over Pakistan including Karachi, Lahore, Islamabad, Peshawar Quetta etc. Since its launch in 2009, HosterPK has achieved a remarkable success, in a very short time, we are currently 3rd largest hosting company in Pakistan with more than 3000 clients. Our vision is to provide international standard services to our clients. 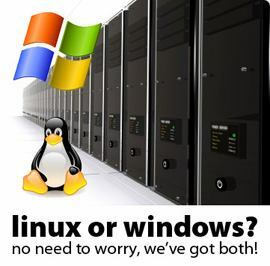 We provide hosting for both of our Linux Servers and Windows Servers, equipped with the latest technologies and features available. Looking for new features and cant find it anywhere? Look no further, because HosterPK definitely has it. 1st Floor D-Block, DHA Business Bay, Bahria Town Phase VII, Rawalpindi Pakistan. [email protected]. Or you can also contact us.